And who is Billy when he is not at home brushing his teeth? The one and only Billy Campbell, that’s who. The guitar player extraordinaire who performs with the super-fun Country duo Locash. 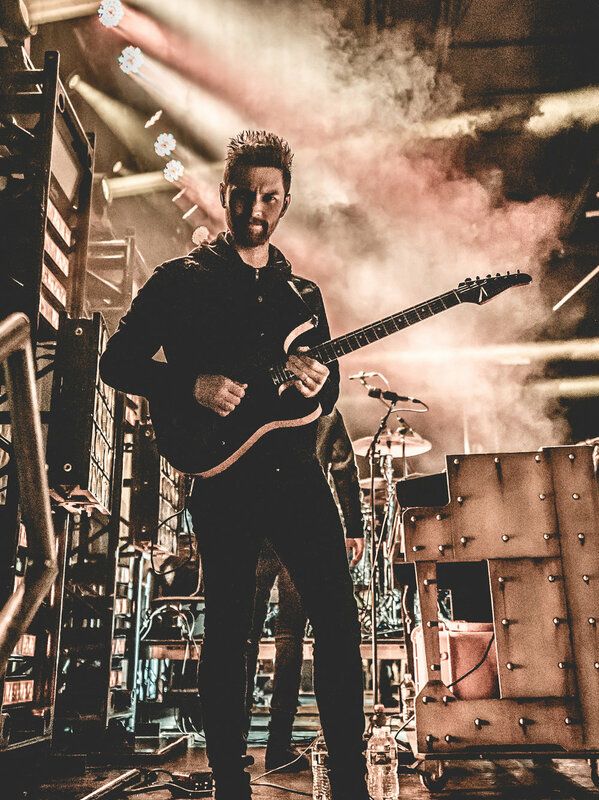 Being a professional guitarist, Billy has played a lot of the best guitars offered—but that was before—once he strummed the first chord on his Anderson everything changed—so much for the better. Billy has entered Guitar Bliss, becoming One with his new Anderson, Guardian Angel—24 frets of nirvana. You might say he is beside himself (figuratively, not literally as that would break the laws of physics as we understand them on this planet). Billy had heard the legendary Anderson tales and could wait no longer so he grabbed his Guardian from The Guitar Sanctuary’s store stock—that way he was able to have his first one arrive to him in a day. Unboxing and snapping open the case latches revealed the Natural Black Burst, Guardian Angel in person. Billy meet Ande, Ande meet Billy. Yes, it certainly was visual love at first sight. Editor’s note: Billy’s blissful “Angel” is outfitted with a full complement of SC1, SC1, H3 pickups (from neck to bridge respectively). Billy keeps his signal path rather unencumbered for pure guitar tones to hit the amp face-on. His Ande is routed straight into a volume pedal and then introduced to either a BB-preamp or a Keeley Red Dirt. From there it makes its way to a TC Phaser and Wampler Delay and then cascades right into the front of a Victory V30 amp. So then, the only question that may remain is: What Anderson is next for Billy—because you know you can’t play just one? Pull your chair in close to the screen and let me whisper to your computer. Well, if you can keep a secret, rumor has it that the next in line may be an In-Distress, Guardian Angel Player finished in a well-worn Tobacco Burst. Now, how cool is that!?!? 24 fret elevated Anderson performance completely wrapped in a super-cool, aged vintage vibe. Oh yes, we will keep you posted.